vegetable blanching times is at the bottom of this page. Why should you blanch vegetables? Vegetables used for their flavor such as green onions, hot peppers, and herbs do not have to be blanched. 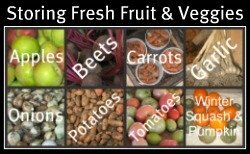 Follow the blanching times for each vegetable. See blanching time chart below. What if I under-blanch my vegetables? It stimulates the activity of enzymes and is worse than no blanching at all. What if I over-blanch my vegetables? As soon as the blanching is complete, put vegetables in cold water. This stops the cooking process. Put blanched vegetables in freezer bags and freeze. How long do I blanch vegetables?